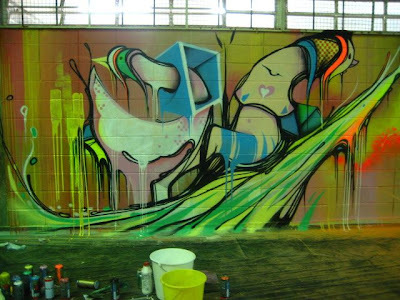 The guys at Choque Cultural Gallery in Brazil, dropped us an email to share details of a paint jam they organized last week. The venue for the jam was the recreational area of the Unibes school. 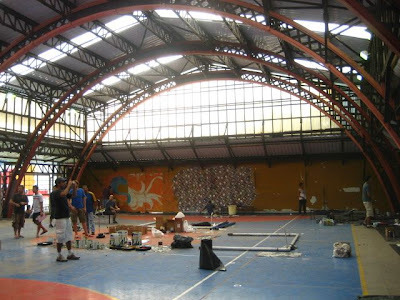 The school is located in the downtown area of Sao Paulo and it provides opportunities for those less fortunate to learn professional skills and take part in art, food, music and computer related activities. The event features some of Brazil's finest graffiti/ street artists with over 18 artists taking part, including Speto, Shnn, MZK, Boleta, Zezao, Titifreak, Whip, Ramon Martins, Mea, Presto, Minhau, Chivitz, Profeta and others. 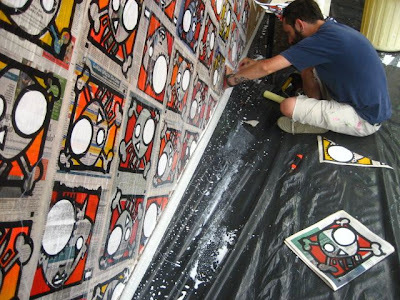 Check the short clip below of the paint session, put together by the artist Shnn.